The technician Paul was punctual and started to work right on time. He fixed the problems that I described. I am satisfied with the quality of work. Edward was very efficient, as well as making certain everything was cleaned up. He also kept me informed of any issues. I would use him again. I get the same person every time ... heâ€™s professional, honest, fair, and knowledgeable. Promptness, courtesy and good workmanship. 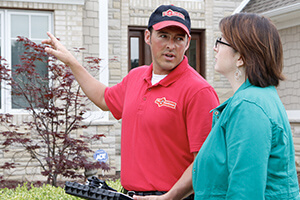 Professional on time knowledgeable craftsman. I liked the fact that Joe (the handyman) took this assignment very seriously and worked hard to do a very good job.